"It's New Zealand, 1914, and the biggest war the world has known has just broken out in Europe. William eagerly enlists for the army but his younger brother, Edmund, is a conscientious objector and refuses to fight. While William trains to be a soldier, Edmund is arrested. Both b... read full description below. 'My Dear Mother, Well, I've gone and done it. I've joined the Army! Don't be angry at me, Mother dear. I know you were glad when I wasn't chosen in the ballot. But some of my friends were, and since they will be fighting for King and Country, I want to do the same.' It's New Zealand, 1914, and the biggest war the world has known has just broken out in Europe. 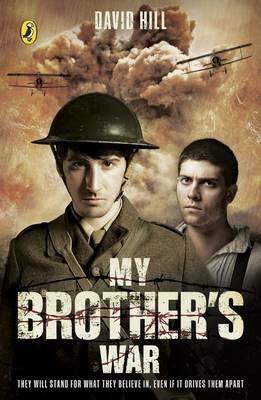 Edmund eagerly enlists for the army but his younger brother, William, is a conscientious objector and refuses to fight. While Edmund trains to be a soldier, William is arrested. Both brothers will end up on the bloody battlefields of France, but their journeys there are very different. And what they experience at the front line will challenge the beliefs that led them there. A compelling novel about the First World War for 9-12 year olds. David Hill spent most of his childhood and teenage years in Napier. He studied at Victoria University and became a high school teacher, teaching both in New Zealand and the UK. He became a full-time writer in 1982 and is one of this country's most highly regarded authors for children and young people. David's books have been published internationally and his short stories and plays for young people have been broadcast here and overseas. David has won awards for his writing in this country and overseas. He was made a Member of the New Zealand Order of Merit in 2004.